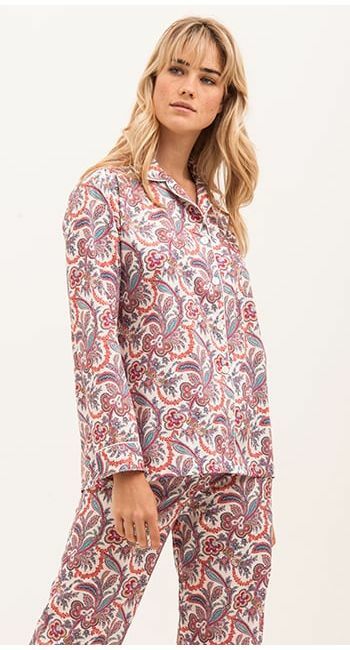 Luxury full length dressing gown in a stunning Liberty paisley print. This lightweight cotton robe is fully lined and finished with a feminine shawl collar, a removable tie around the waist and two side pockets. Matching pyjamas, shorts and pyjama bottoms available.